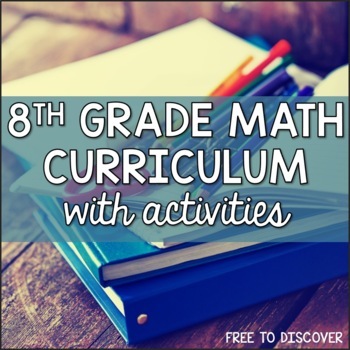 When I taught eighth grade math, we used the Glencoe McGraw Hill Algebra I (2010 edition) textbook. It was awesome for solving equations, writing linear equations, and evaluating with exponent rules. However, it was missing three-dimensional measurement, transformations, repeating decimals, estimating radicals, and of course, two-way tables! 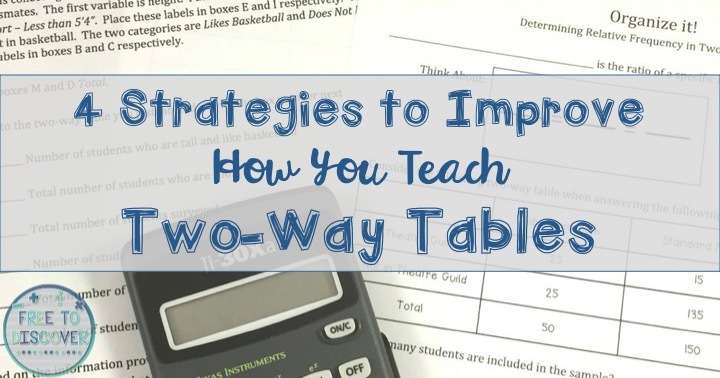 When two-way tables were added to our standards I spent a lot of time relearning the topic so that I could create meaningful, accurate resources that would help students really understand the importance of the skills they were developing. First, I started with a review of percent proportion because I needed my students to be able to write ratios and convert to percents. 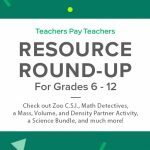 Here is a free resource you can use in your own classroom. A discovery-based approach can really help students see connections between concepts. When I design an inquiry-based lesson, I want students to do more than just copy an example and try something just like it. I want them to decipher the meaning behind what they are doing and reflect on these connections. 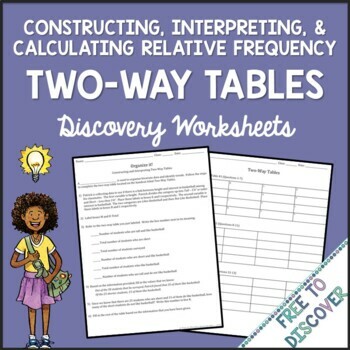 In the discovery-based worksheets that I designed, students first spend a day constructing and interpreting two-way tables then spend time determining relative frequency in two-way tables. 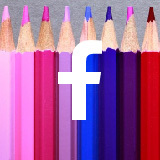 Scoop up these lessons here. I do believe it’s important to summarize the big ideas in the form of notes once students have had exposure to the concepts. 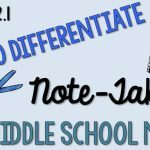 The notes I use in my class are always differentiated based on the needs of the students. 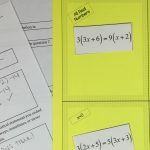 Most students get regular fill-in notes, but others get a copy with the examples already filled in so that they can focus on listening to the lesson without having to write everything down. The final copy has everything filled in, and is perfect for students who have been absent. The corresponding practice sheets are differentiated by ability level. There is an advanced version and a basic version. I also include a one-page version of the basic copy that has less problems but meets the standard level. 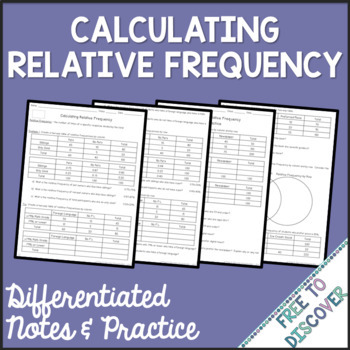 Check out my notes for Constructing and Interpreting Two-Way Tables and Calculating Relative Frequency here! Then it is time to practice, practice, practice! Those of you who are familiar with my store know that my students and I love to play Old Math Guy. 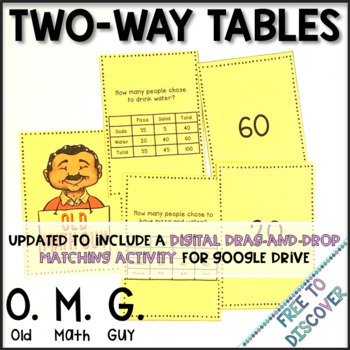 I have a game that is perfect for interpreting two-way tables and calculating basic relative frequency. 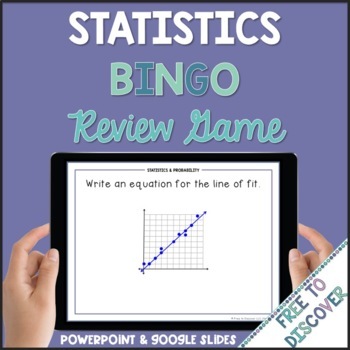 This is a great game to use as review once students understand the main ideas! 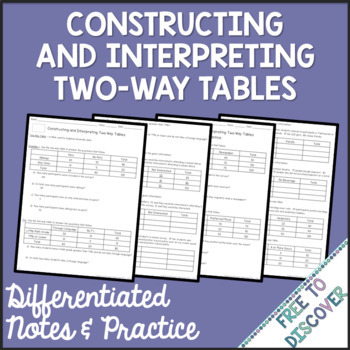 These two-way tables task cards from Mrs D’s Classroom were a lifesaver! My students loved the practice and appreciated the connections to Venn Diagrams. This two-way tables scavenger hunt from Teacher Twins is very fun and gets students moving around the classroom! 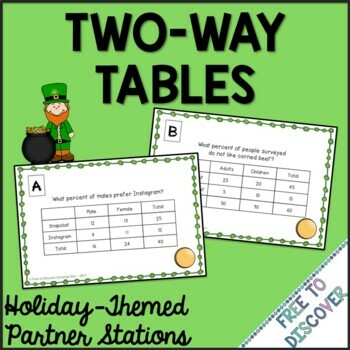 If you’re looking for some St. Patrick’s Day fun, scoop up this awesome set of partner stations! 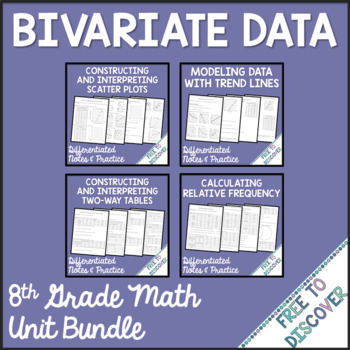 At the end of the Bivariate Data unit, you can use this fun BINGO game to review the big ideas! 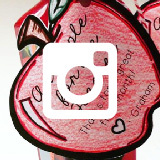 This format is my favorite way to review… and my students love it, too! 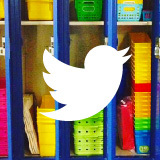 What are your favorite activities when teaching two-way tables? I would love to read some of your tips and tricks! Amanda Nix of Free to Discover lives in New Hampshire with her husband, toddler, and English chocolate lab. She loves working with secondary math students! After five years as an eighth grade math teacher, she moved into a part-time role as a math interventionist for grades 5-8. Today she is a work-at-home mom who enjoys staying immersed in education by tutoring middle and high school students in math and science. 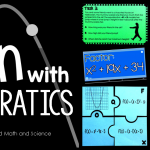 She has a true passion for teaching math using fun, interactive methods. She holds a Master’s Degree in Mathematics Education from Lesley University, and considers herself a lifelong learner. 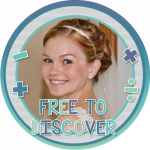 She loves sharing her ideas and strategies for teaching mathematics on the Free to Discover Blog. 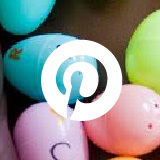 You can also connect with her on Pinterest, Facebook, and Instagram!